Three Spring Suits, Three Different Ways | Valet. The suns out for longer these days and the temperatures are rising, but that doesn't mean you won't have reason to wear a suit now and again. Don't just throw on your average shirt and tie and lace up your everyday leather oxfords. Make the most of your spring suits by dressing for the season. That means pairing those lightweight jackets and trousers with equally cool shirts and shoes. Herewith, three different options (four, if you count the look above) that will work on just about anyone. Taylor Stitch's softly tailored linen and wool stretch suit is the perfect style to throw on over a T-shirt (stripes always add a nice textural dimension). 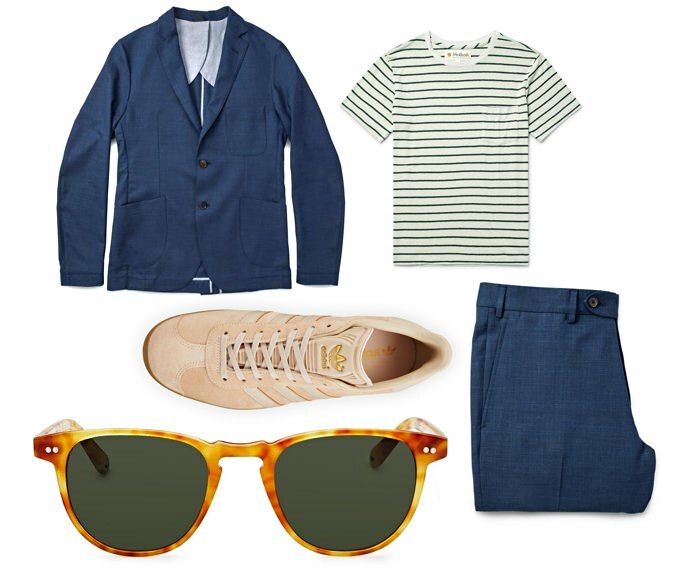 Finish this easygoing look with some monochromatic sneakers and a cool pair of shades. You're already wearing a bold printed camp shirt this season (right?) so why not pair it with a suit for an outdoor occasion that calls for a jacket? At less formal events, you can even wear it half-buttoned over a tank top or lightweight tee for a more layered look. 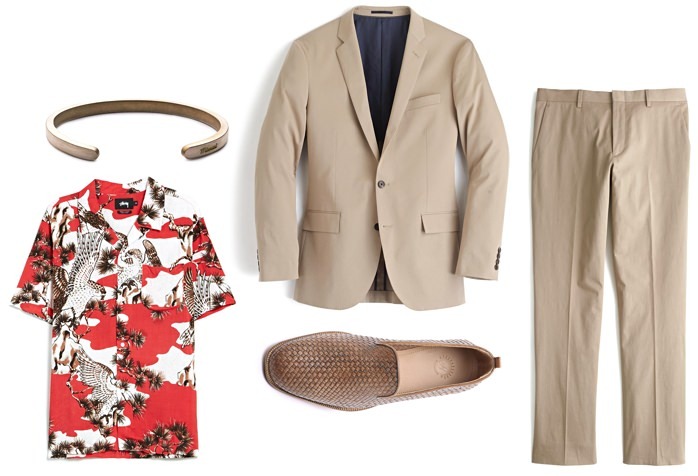 Keep the outfit in the aloha spirit by grounding the look with woven leather footwear. This is a move you'll be seeing a lot of on red carpets and on other sharp-dressed guys this spring and summer. A knit polo under your suit makes for a sleek look with a touch of European insouciance. 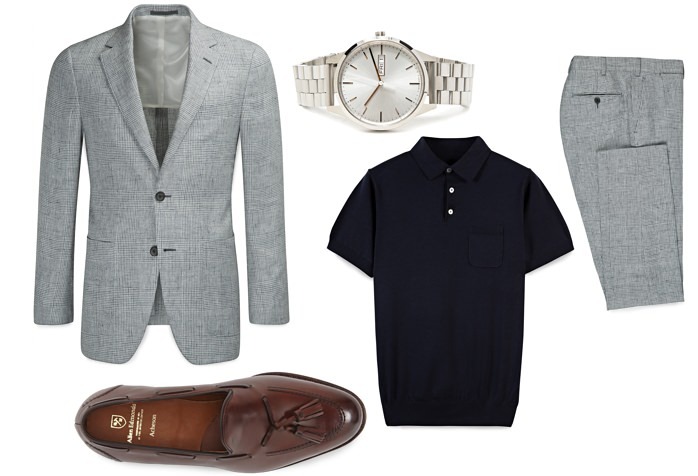 Since this is still more of a grown-up look, complete the outfit with a proper watch and some polished tassel loafers. A suit so freaking comfortable, you'll never want to take it off.